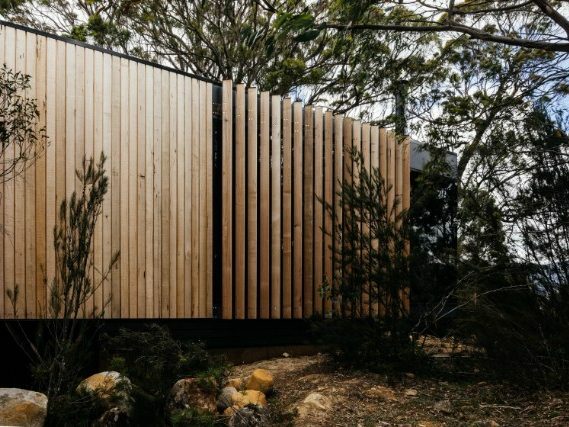 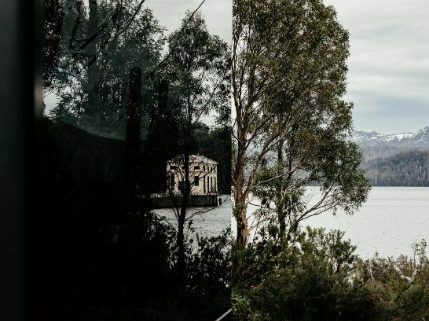 The Retreat is a free-standing accommodation pavilion located on the edge of a vegetated area within the Pumphouse Point site on Lake St Clair. 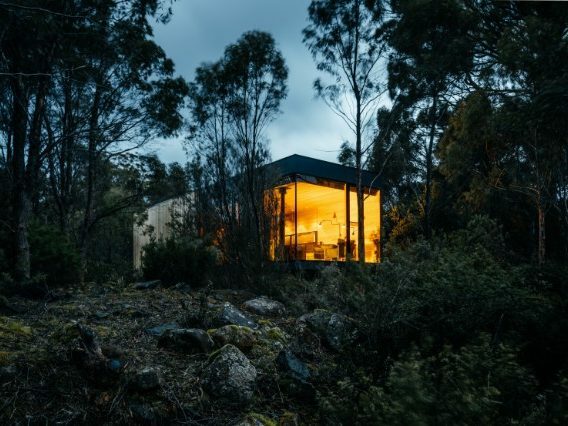 This private retreat provides beautifully appointed, high-end accommodation, offering a truly immersive experience within this stunning landscape. 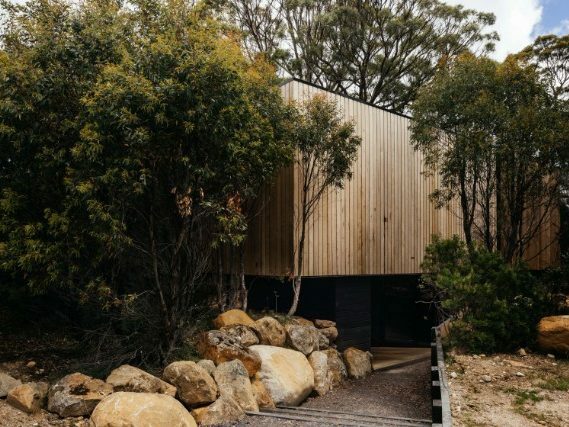 The pavilion was constructed off-site in Hobart and transported to its location to minimise site disturbance, reduce the construction period and maintain a high quality of finish throughout. 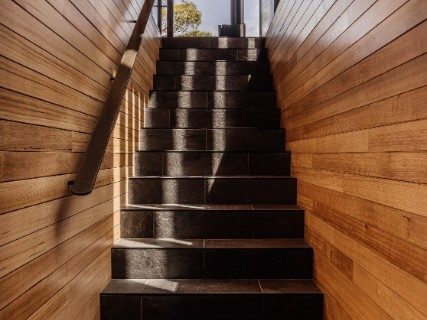 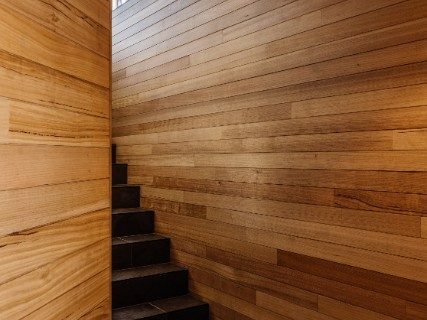 Accessed through a narrow private pathway, the building presents a closed face of weathered vertical timber boards on a dark coloured plinth. 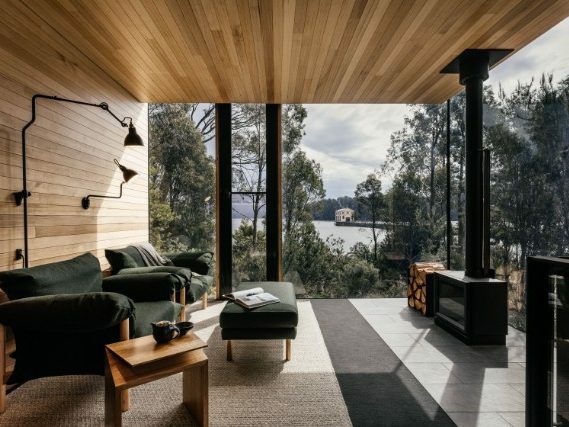 From the burrowed entrance, guests climb the stair to a floating sun-filled room with picture windows focussing on the surrounding bushland and a magnificent vista to the Pumphouse on the lake. 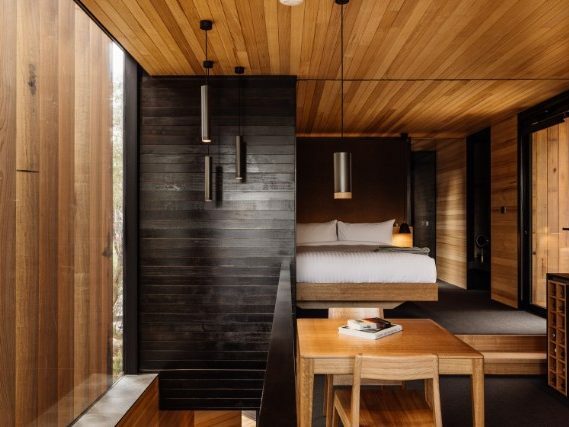 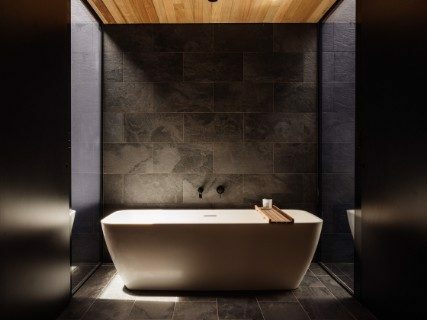 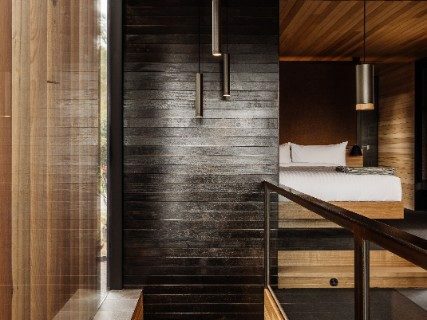 Light-wells carved out of the bathroom corners provide delightful private connections with earth and sky to further enhance this exclusive guest experience at this highly successful Tasmanian enterprise.